Several forms of musical experience get mingled as it is the Gamelan ensemble combined with traditional instruments of the Arabian peninsula or the call of the Muezin sharing the plucks of the flat indigenous Sape guitar. Being one of the most contrasting countries in Southeast Asia, how does Malaysia turn several influencies into indigenous habits, how does it link back to its cultural roots? The range of living music in Malaysia is divers, it seems as divers as the different forms of life that the Malaysian people live right beside each other, with well grown modern cities next to stoneage nomads. We meet Western symphonic orchestras right beside Gamelan ensembles, the classical pianist as well as the Keroncong artist, a Chinese orchestra as well as the irritating and fascinating sounds of the divers ethnic groups called Orang Asli. Religious music is an important part of traditional and actual Malayian music too. Nearly sixty percent of the Malaysian people are Moslems, and like indicated in Indonesia, the Islam shows generosity to the indigenous music by supporting and developing local art forms, not without infiltrating it with own instruments like the lute “Oud” or their own musical theory. Right beside each other we find the Buddhist temple next to the Moschee and hear the singing and chants of the monks. Traveling outside of the bigger cities, folkloristic music dominates the rural scene, where we hear lullabies and working songs. The vocal tradition is in the center of the folkloristic music, instrumental pieces are more seldom. Today, Malaysias strong economical situation (compared to other Southeast Asian countries) also involves the increasing numbers of Western visitors, tourists as well as traders and investors. Cities like Kuala Lumpur offer a wide range of Western amusements, including the joy of opera and theater, symphonic concerts as well as chamber music, modern Rock concerts as well as Techno parties. To put this lovely chaos in order, several attempts have been made to sort the mutliple appearance of music in Malaysia today. One recommandable article tries to seperate the Malaysian music into two categories, “litte” and “great tradition”, with the first one covering the folk music. Here, we also find the seperation between notated music and the oraly transmitted music. It is questionable how much of the actual music performed in Malaysia is written down or not. 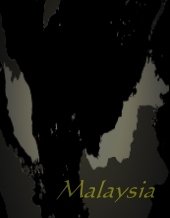 Nevertheless, nearly ten percent of the Malaysian people surely relate to a non-notated tradition, because they belong to the indigenous people of Malaysia, the “proto-”Malaysian or just simply “first people”, the Orang Asli. The term Orang Asli means something like the “original people” and is a collective term for all indigenous ethnicities of Malaysia, seperated into the official three “groups” Senoi, Negrito and Proto-Malay. In fact, 18 ethnicities are pressed into one collective term, and their cultural appearance is quite divers. The true origin of the Orang remains unclear, but several language links show regards to the indigenous ethnicities of Thailand, Myanmar and Laos. Among the Orang Asli music, the Temiar music has become mostly recognized as “healing music” worldwide, but the reasons are questionable, because this “dream music” is often used and sold from the “New Age”and esoteric scene. It also shows a paradigma of the Orang Asli, as they still are classified as leading an “romantic existence” in the djungle, only dependent on the things which nature spends everyday, but this is far from reality, of course. It is the more an example of how the term “exotism” shows its pathological face: The Orang Asli do not only have to handle the fate of loosing their land and autonomy, they also get exposed as “romantic wild people from the jungle”, and cultural habits or facts perish as the major part of them gets assimilated into the “modern” and Western part of Malaysian reality. Also, some other “exotic” facts seem to be neglected if compared to the rest of Asia. If we take a closer look at most of the habits of ethnic minorities in Southeast Asia, we often find religious or sacred relations with each instrument. In Vietnam, some of the ethnicities bury their dead with their own instruments, as noone else is allowed to play this instrument but the deceased. Among the Orang Asli, the “Negrito” always built an instrument to use it once and then throw it away. Their nomadic life made it impossible to carry around havy gongs or instruments which are complex in structure and easy to break. Today, the nomadic life is over and this also regards to the appearance of Negrito musical instruments today. The shamanistic and animistic elements of belief also suffer from the romantic exotism mentioned above. Besides from all “djungle stories” the shamanistic rituals found among the Orang Asli are one of the latest chances to study shamanistic traditions and philosophies which seem to link back to shamanism in the arctic-siberian circle. Here we find music that works as a “bridge to heaven”, with drums beating players into trance. The Orang Asli have suffered a lot over the last decades. They have been the toy of politics and religions, lost their land over the years and became fully dependent on the Malaysian governmental institutions. A very detailed summary of the political and social state of the Orang Asli today, written by Colin Nichlas, can be found here.